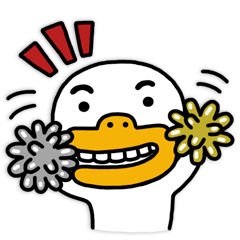 Week listings and previews for our Korean Players Abroad, this week was a great week for our Taeguk Warriors and Korean Players Abroad. Firstly, congratulations to our Olympic team who won their group and qualified for the quarter finals of the AFC U23 Championship. The Olympic team will face Jordon in the quarter finals on Saturday 10:30pm Korean time. Over in Europe, Suk Hyun-Jun made his debut for FC Porto and Son Heung-Min scores and provides an assist against Leicester City. It’s great to see Sonny on the score sheet again. Winter break is now over, the Bundesliga will commence this week. Yun Suk-Young still hasn’t been making the squad list these last couple of weeks. I expect him to be out of the squad list this week too or either be benched. Maybe a move this transfer window is what Yun needs. Ryu Seung-Woo is currently participating at the AFC U23 Championship. Hong Jeong-Ho is one of Augsburg’s best players I expect him to start this week against Hertha Berlin. I expect Ji Dong-Won to either start or make bench this week against Hertha Berlin. Koo Ja-Cheol sustained an injury just before winter break, he will be excluded from the squad list this week. Kim Jin-Su should start against Bayer Leverkusen. I expect Lee Chung-Yong to be benched this week, hopefully he impresses when he gets subbed on. Korean derby is on this week, Lee Chung-Yong vs Son Heung-Min. Last time Son Heung-Min played against Crystal Palace he scored. I expect Sonny to either start or be benched this week, hopefully he starts as he was great mid-week against Leicester City. He provided one goal and one assist in Spurs 2-0 win against Leicester. Borussia Dortmund’s first choice left back Marcel Schmelzer is currently out with an injury, good news for Park Joo-Ho as he will get more playing time. I expect Park Joo-Ho to start this week against Borussia Monchengladbach. I really hope Park Joo-Ho can impress and show his talents as people are still having doubts about him. Congratulations to Swansea, they just escaped the relegation zone last week. As Ki Sung-Yueng is a vital player for Swansea City, I expect him to start against Everton. Time to bring in some points. Suk Hyun-Jun made his debut for FC Porto mid-week, I expect he will either be benched or make his league debut this week. **Side note, our Taeguk Ladies won 5-0 against Vietnam in the 2016 Four Nations Tournament in Shenzhen, China. 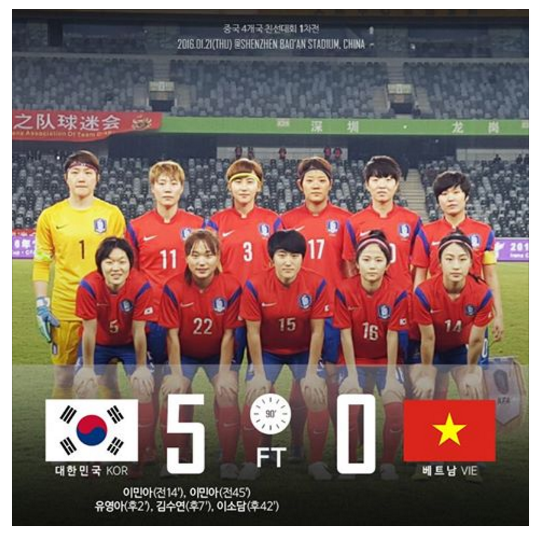 Goals were by Lee Min-Ah x2, Yoo Young-Ah, Kim Su-Yeon and Lee So-Dam.They will be facing Mexico tomorrow, kick off time is 5pm Korean time.